On an unassuming winter’s evening, Henry Willows receives an unexpected visit from his estranged son, Matthew, and his goth girlfriend, Christine. Still bitter from the painful divorce that tore his family apart, Henry treats them unkindly. After Henry discovers that Matthew has run away however, he decides to call his ex-wife, Sue, resulting in an uneasy family reunion. When it is revealed that the sixteen-year-old Christine may be pregnant, it prompts Henry and Sue to recall their past, prodded on by the mischievous and conniving Matthew, who wishes to see his parents together again. 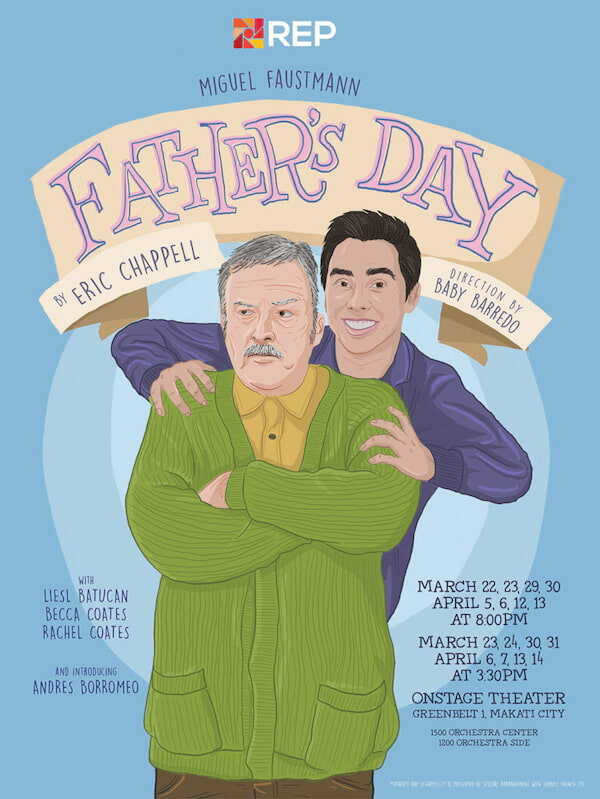 Brimming with comedic banter and razor-sharp turns of phrase, Father’s Day unpacks its heavy themes with endless humor.